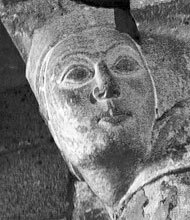 Eleanor of Aquitaine was fifteen years old in 1137 AD, and not yet married, when her father, the Duke of Aquitaine, died suddenly. Eleanor had no brothers, so she inherited her father’s duchy, which included most of southern France. The High Middle Ages were a violent time, and Eleanor, despite being the great-grandniece of Empress Agnes of the Holy Roman Empire, needed a strong military leader to fight the battles that would keep her in power. Eleanor found her leader in the French king, and so the young Eleanor immediately married Louis, the son of the French king. Louis was sixteen. Shortly after they got married, the French king died, and Louis became king. Eleanor moved to Paris with Louis, and had two daughters, but no sons. Eleanor and Louis went on Crusade to Jerusalem together, and Eleanor got to visit Italy, Sicily, and Constantinople as well. After fifteen years, Eleanor met Henry, a Norman ten years younger than her, and divorced Louis, now the King of France, to marry Henry. She left her two daughters with Louis. Soon, with Eleanor’s support, Henry became King of England. Eleanor and Henry had five sons and three daughters (so she had ten children total). 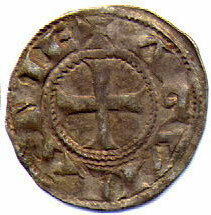 But when Eleanor’s second son, Richard, was sixteen years old, Eleanor and Richard teamed up to revolt against Henry. She was 51 and she wanted to rule Aquitaine on her own. When the revolt failed, and Henry won, he shut Eleanor up in a castle in England and watched her carefully. Eleanor spent sixteen years imprisoned, but Henry died when Eleanor was 67, and she ruled England when Richard was off on Crusade. 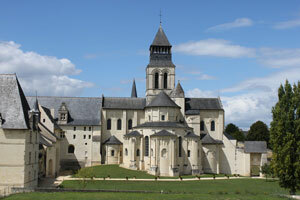 In 1200, when she was 78, she retired to live at a convent in Aquitaine – like Anna Comnena. Eleanor died there in 1204 AD, at the age of 82. Cite this page: Carr, K.E. 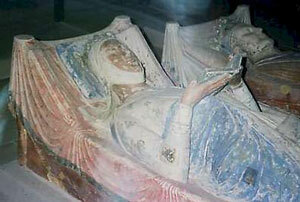 Eleanor of Aquitaine – Queen of France and England. Quatr.us Study Guides, August 2, 2017. Web. April 26, 2019.